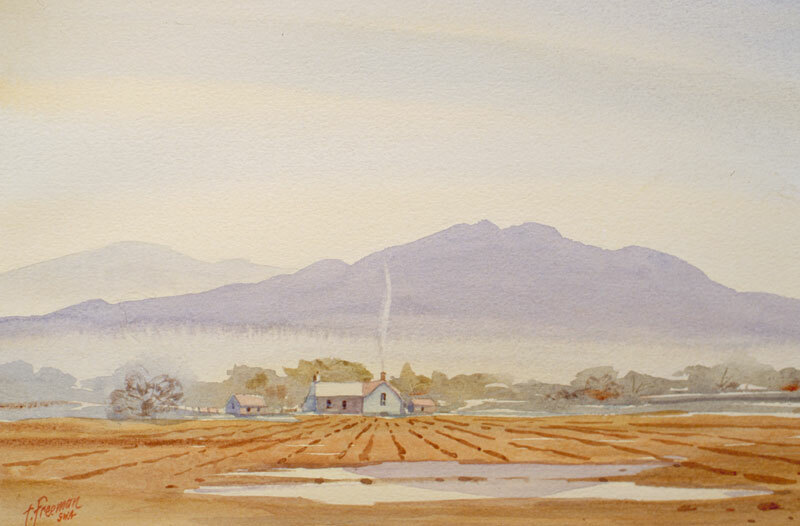 Thomas Freeman Original Watercolor Painting: "Wine Country Morning"
I got the idea for this painting from a winery's vineyards in California's Napa Valley. This is before the season in the wine country, so the fields are still open and bare. Puddles remain on the ground from recent rains, and fog lingers on this cold, chilly morning.